Sprint Nextel has made it official: The third larger U.S. wireless carrier is opposed to AT&T's proposed $39 billion takeover of T-Mobile USA. The official announcement comes as no surprise, as Sprint CEO Dan Hesse criticized the recently announced merger last week at the International CTIA conference in Orlando, Florida. During a keynote panel session, Hesse said the deal would hurt consumers by consolidating the majority of U.S. wireless subscribers and revenue in the hands of two companies: AT&T-T-Mobile and Verizon Wireless. Sprint continued its attacks with Monday's announcement. "The transaction...would reverse nearly three decades of actions by the U.S. government and the courts that modernized and opened U.S. communications markets to competition," Sprint said in a statement. The merger will need approval from the Department of Justice and the Federal Communications Commission, and will likely spark contentious debates during U.S. Congressional hearings. A combined AT&T-T-Mobile would create a wireless provider that's nearly three times the size of Sprint in terms of revenue. As a result, the mega-carrier "would entrench AT&T's and Verizon's duopoly control over the wireless market," Sprint argues. "Sprint urges the United States government to block this anti-competitive acquisition," said Vonya McCann, senior vice president of government affairs, in the statement. "This transaction will harm consumers and harm competition at a time when this country can least afford it." Calling the proposed merger a "new Ma Bell duopoly," Sprint vowed to fight the transaction "on behalf of our customers, our industry, and our country." Verizon Wireless, currently the largest wireless provider in the U.S., is a joint venture of Verizon Communications and Vodafone. Today's AT&T is a partial recreation of the original Bell System, which was split into seven regional Bell operating companies (RBOCs) in 1984. One of those seven, Southwestern Bell (later SBC), changed its name to AT&T in 2005 after buying the remains of the original AT&T corporation. 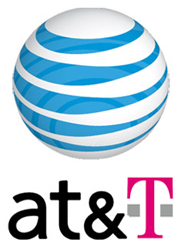 Consumer groups have voiced their opposition to the AT&T-T-Mobile union as well. "Don't believe the hype: There is nothing about having less competition that will benefit wireless consumers. And if regulators approve this deal, they will further cement duopoly control over the wireless market by AT&T and Verizon," said Free Press research sirector S. Derek Turner in a March 20th statement after the merger was announced. "A market this concentrated -- where the top four companies already control 90 percent of the business, and two of them want to merge -- means nothing but higher prices and fewer choices, as the newly engorged AT&T and Verizon exert even more control over the wireless Internet," said Turner.